LG revealed its 2017 OLED TV lineup in January at CES, but the company did not disclose the prices or actual release date of these new TVs. Well, except the 65" OLEDW7 Wallpaper TV which costs $7,999 and is up for pre-order at Best Buy. Amazon lists the prices, but the actual shipping dates are unknown yet. 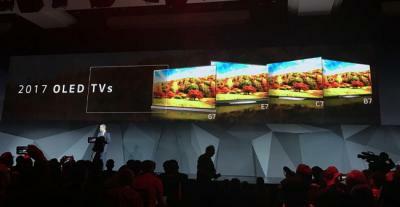 You can order the TVs, and they will be delivered when LG starts shipping those in the US.